Origins of the Sport: While history clouds the beginnings for both golf and fly fishing, modern versions of each can be traced back to the 15th century Scotland. Leveraging an Expert’s Help: In golf you can hire a caddy to carry your clubs, but the best will provide insight into the course and result in a lower round. 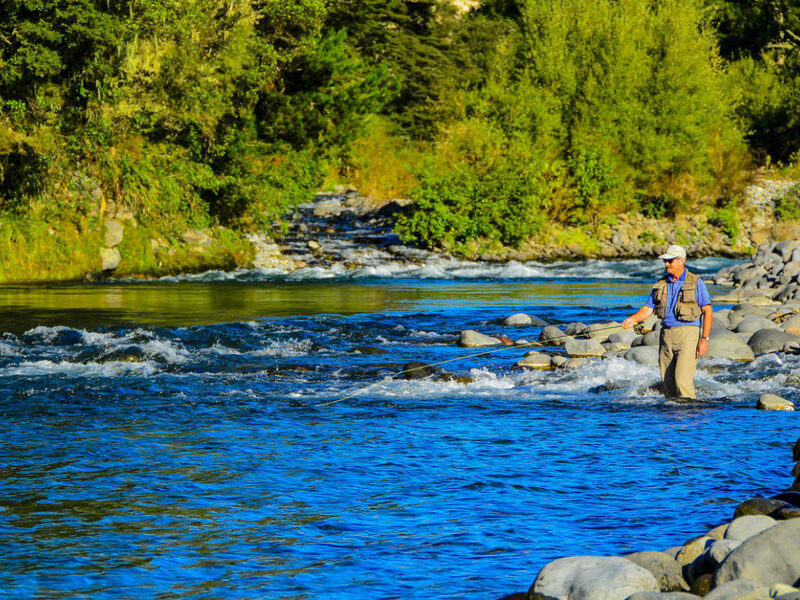 A fly fishing professional guide will similarly result in a more efficient day of casting and improve your chances of catching more fish. 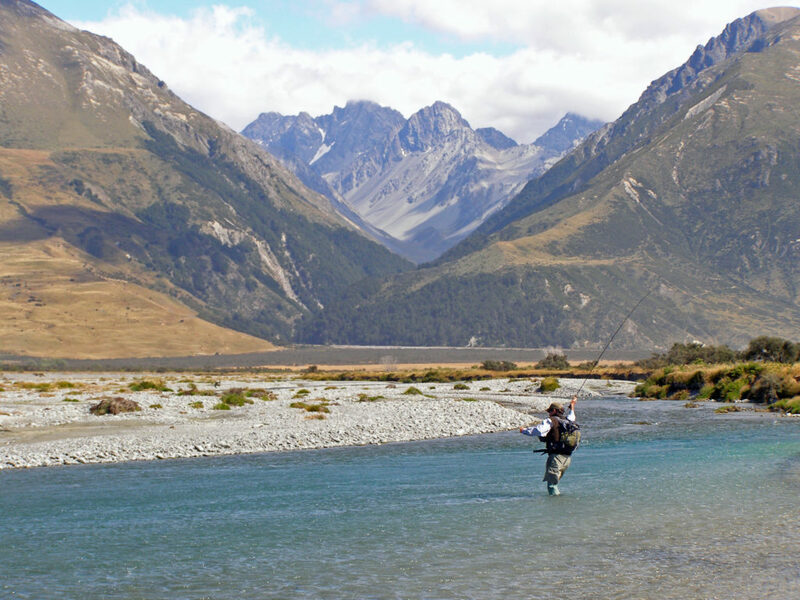 Those who visit New Zealand to fly fish may also take time to enjoy a few rounds of golf. Note: Both caddy and guide likely enjoy beer. Neither mind a tip for their services. Please contact us or see below for sample itineraries to help enjoy each sport and the beauty of New Zealand. You can always visit our sister website www.bestofnzgolf.com as it has much more detailed course information across all of New Zealand. We organize trips for college teams and members of golf clubs as well!